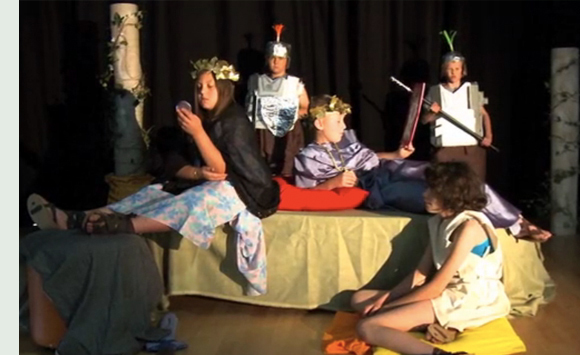 The NUSA roman tales project was a project based around literacy for Year 6 pupils to come in to Nottingham University Samworth Academy over the summer in 2012 to aid their transition for junior school to seniors. The young people attended a days workshop at Lakeside Arts in the Nottingham University campus where they experienced roman life by forming their own governments in groups, naming their fictional land and making rules to abide by there. They also tried on Roman garments and made pottery as they would have done in roman times. Back at NUSA fro the rest of the week the games teachers had the young people trying out Olympic sport to underline both the Olympics 2012, in London, and the roman origins of the games. Greenshoots then worked with teachers from NUSAʼs English department to help the pupils to write some tales with a moral to make into short films. When the stories had been written the pupils were helped to make costumes and act in, shoot and edit the films. A fantastic week was had by all, it was a brilliant way to make the young ones feel at home in their new school and learn some literacy too !! The young people involved in the Summer School Project had a great time in their new school. Keane Gill (aged 11) said: "It was really good coming in to the big school, we went in all the different classrooms so when I actually started school in September I knew everywhere I was going"
The young people had a great experience learning all about Roman life. Maisie (aged 11) said: "We made pottery the way the Romans did, we did Roman sports and we even made our own Roman costumes for the film we made, I would love to do it again". Daniel said: "It was great doing filming on the Greenscreen. It made me and Billy look like we were actually floating in the sky"
Making a film is always inspiring for young people and helps drive them to approach literacy without realising how much they are learning. English teacher at NUSA Kyle Milner said: "The project was a great way to meet the new pupils in a more relaxed situation than normal school activities. It was remarkable how engaged they were in their writing. 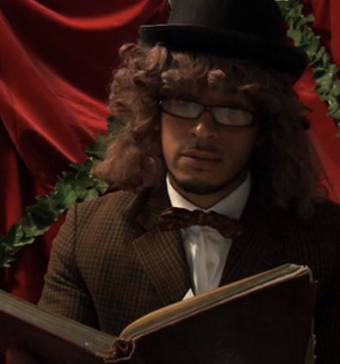 They were so focused and wrote stories with strong morals for each of their short films"